You’re going to have difficulty believing this, but I promise you, every word is true. In fact, you couldn’t make it up! Our planet earth is surrounded by a highly complex grid of energy lines, rather like a hair net. Actually, it’s more accurate to say two grids, the Hartmann and Curry Lines. According to our speaker on 10th September, Steve Dawson, an ex-military diver and now a dowser, two German doctors discovered all this relatively recently. Dr Hartmann, who was a Prisoner of War during WW2, discovered his part of the grid in the 1930s–1950s, and found the grid lines ran from north to south, and east to west. Usually represented in red, each line was approximately 2km apart, forming squares, and alternate lines had positive energy then negative energy. Each seventh grid line was double the width and strength of the others in between. Whereas Dr Curry didn’t discover his grid, usually represented in blue, until the 1950s, and his lines, running cross-wise from north-east to south-west, formed diamonds, with the lines usually 3km apart. Interestingly, he too discovered that each seventh grid line was double the width and strength of the others. 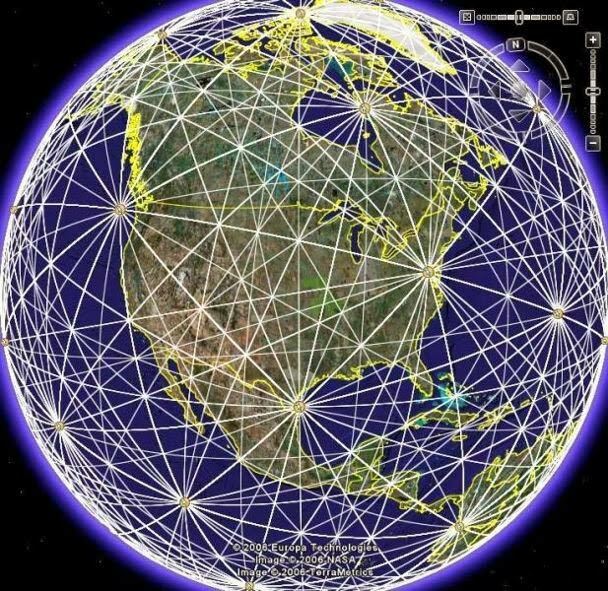 Superimposed on each other, the squares and diamonds make for a busy picture, but where they coincide makes for an even stronger energy spot called a Node. You would be extremely unlucky if you had a double negative Node on your property, as it would be tough living on it, and could make you extremely ill.
Their power is also affected by the moon; and birds and animals rely on them for navigation. Bees are happy on negative lines, and cats are too, but dogs and people prefer the positive lines. There is only one edifice through which the grid lines cannot pass, and that is the Great Pyramid in Giza. They have to go up and over or around it. Our speaker has dowsed these lines over and over again, and believes they go deep into the earth and up to some 30,000 feet above it. I don’t know why we took so long to discover this grid because ancient man, the Pagans and the Romans were all aware of it years before. The Romans were in Britain from AD 43–409 and when they withdrew, the soldiers didn’t get much notice. They weren’t allowed to take their treasure and earnings home with them, so they buried them, and used the Hartmann and Curry grid lines to mark exactly where they were. Back home they told their children and grandchildren to come back and dig it up, with explicit instructions how to find them, but not all of them did, which is probably why we occasionally still find stashes of Roman coins to this day. Admiral Piri Reis was familiar with the Hartmann and Curry grid in the 14th century, although it wouldn’t have been called that then. 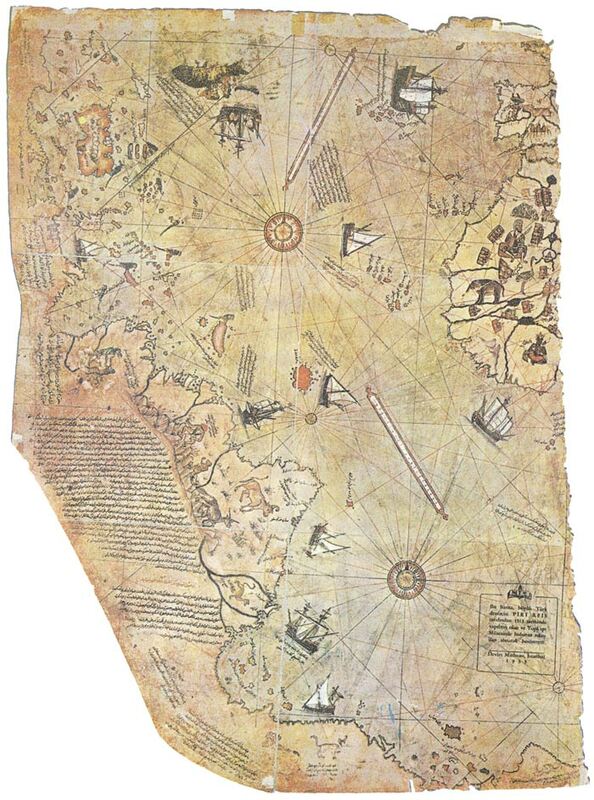 He was an Ottoman-Turkish admiral, geographer and cartographer, and he was producing maps in 1513 that not only appear to accurately show Antartica (and Atlantis!) before the last ice age, but also appear to be covered in grid lines. It gets better! 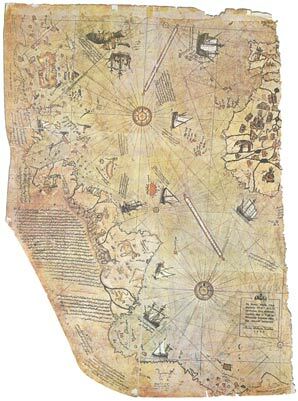 Some people believe his maps were so accurate, they must have been copied from original maps drawn before the ice came, so presumably pre-12,000 years ago. So did Piri Reis copy the grid lines from an earlier map too? As regular readers will know, it was a Christian habit to build their new churches on the site of existing ancient churches, mostly built by the Pagans, who chose their sites for the energy lines going through them. X marks the spot, because where ever the Hartmann and Curry lines cross, there is a huge spiral of energy. Which is why today you will find almost every church has its own power point in the Nave, a few feet back from the altar. There’s more. You remember that every seventh line of both grids is double the size and width of the others in between? Well, where a big fat seventh line in the (red) Hartmann grid crossed a big fat seventh line on the (blue) Curry grid, that gave such a powerful Node, that’s where they built a cathedral! This is world-wide, not just in Britain, and Chartres cathedral in France is a prime example. And even though Glastonbury in Somerset is in ruins, that power spot is still there – with those energy lines going through like a train – which means we can tell exactly where the Nave was. It also means you can go and stand on that very power spot in any church. Just by entering the church and walking up the centre aisle towards the altar, you will suddenly feel it – with dowsing rods or without. If you stand in a particularly strong one, you will feel it spiralling up through your body. And even when you have stood there, and felt it for yourself, you’re still going to have difficulty believing all this.